"A classic Solitaire game re-imagined in 3D for PC." The classic games of Solitaire are indeed exceedingly addictive. This version of the game is no different. The classic Spider Solitaire is one of the more popular versions of Solitaire which allows players to play the way they want. With the cards that they want. The original game of Solitaire, for some, is extremely difficult. Spider Solitaire allows players to decrease the difficulty of the original Solitaire game by removing one or more suits from the deck. 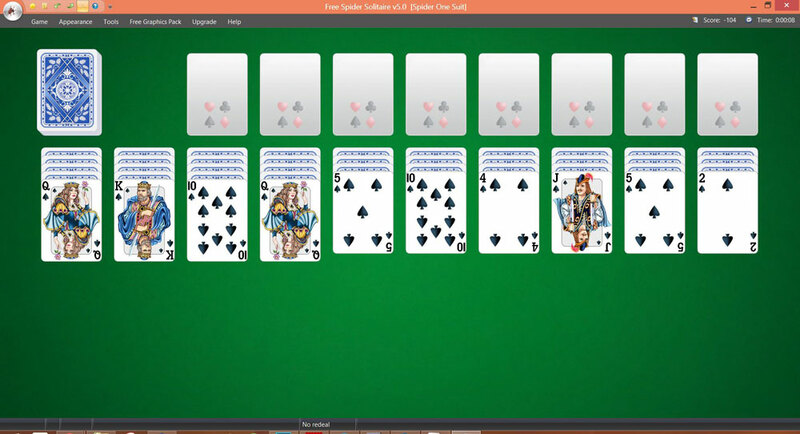 This version of Spider Solitaire will be unlike others that you may have played in the past. Past games were often plagued with cheap and low quality graphics, animations, and transitions. This version includes highly detailed card edges, card images, and shapes. The board itself resembles a bright, green casino card table.